In 2007, Mimi Heberlein had an idea about a new way to give back to the community. Taking action on various fundraising event ideas and models, she created an event which would set the standard in our community. Thanks to her vision, the Empty Plate Strolling Dinner and Auction is now one of Lansing’s premier fundraising events. Attended by over 700 people each year, the Empty Plate event is GLFB’s largest annual fundraiser and takes place each April/May. Guests enjoy a casual strolling dinner featuring the area’s top chefs, a commemorative “empty plate” decorated by local school children, a live and silent auction and an important opportunity to make a difference for thousands of our neighbors in need. 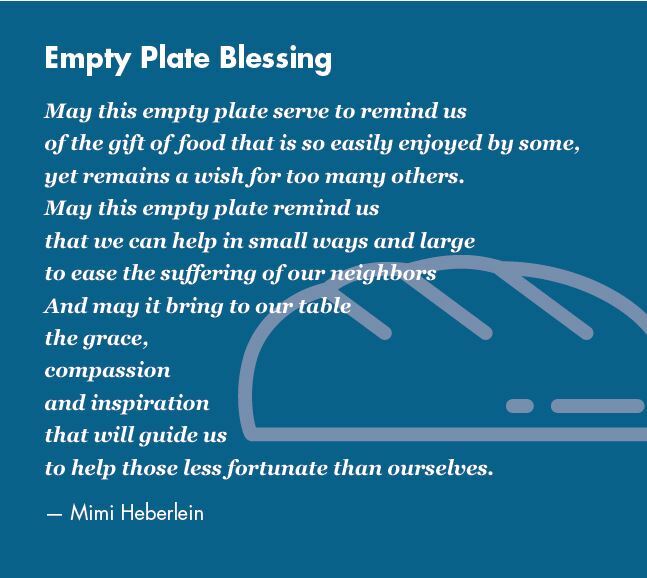 In the eleven years since the Empty Plate Strolling Dinner and Auction began, businesses and individuals in our community have contributed over $4 million to help feed those in need. This translates to more than 12 million nutritious meals provided! Opportunities to get involved and support the event include serving as a member of the Empty Plate Host Committee and becoming an event Sponsor. Find out more about the 13th annual Empty Plate Strolling Dinner and Auction!